The release date of Sonic Generations may be a few months away, but the folks over at Sega want gamers to get a feel for the upcoming platformer. I downloaded the demo and sat down to play it, because I wanted to get a little preview of what to expect from the blue blur's upcoming adventure. Initially, I was under the impression that the demo would include a 2D "classic" level as well as a 3D "modern" level. Unfortunately, this proved untrue as the demo launched with only a single 2D level. There was no 3D level to be found. That said, I took the time to play through the level a handful of times because I wanted to provide an in-depth look at what gamers can expect from at least half of Sonic Generations. As I watched the Sonic Generations demo finish downloading, I was pretty stoked to play. Sure, Sonic has seen better days, but I genuinely believe that last year's Sonic Colors provided an excellent gameplay experience on both the Nintendo Wii and DS. Upon selecting the single playable level, I prepared for what would either be a disappointing demo or an enjoyable one. My first thought (and gripe, really) came as a result of the loading screen. It took the game a good while to load up the level, and although Sonic Generations is still in its developmental stages, the loading screen was tediously lengthy. The Sonic Generations demo kicked off, and I was guiding the iconic blue hedgehog through a revamped Green Hill Zone. The music was largely the same, though modernized a bit, and it sounded absolutely spectacular. It managed to successfully convey a ton of nostalgia while sounding modern and enjoyable by today's standards. 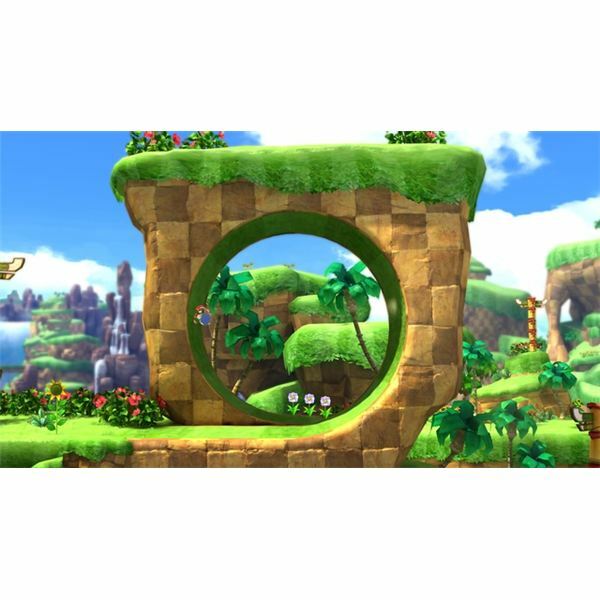 Visually, the classic ambience of Green Hill Zone remained intact, but Sonic Generations offers a nice 2.5D look. It's an excellent graphical style, and as much as I liked the modernization in Sonic the Hedgehog 4: Episode 1, I have to admit that if the rest of Sonic Generations looks as good as this demo, it's obvious that this title will be the visually superior Sonic game. It's hard to judge a game based on a single level. Thankfully, this was just a teaser of what to expect when the release date of Sonic Generations comes around. From what I gathered after playing the demo, though, I was able to see how most longtime Sonic fans will love at least 50 percent of what the game has to offer. This is due to the fact that the side-scrolling gameplay in the demo was tremendously rewarding. Even though I greatly enjoyed the gameplay of Sonic 4, I immediately felt like this was the type of experience gamers wanted when they played that game. 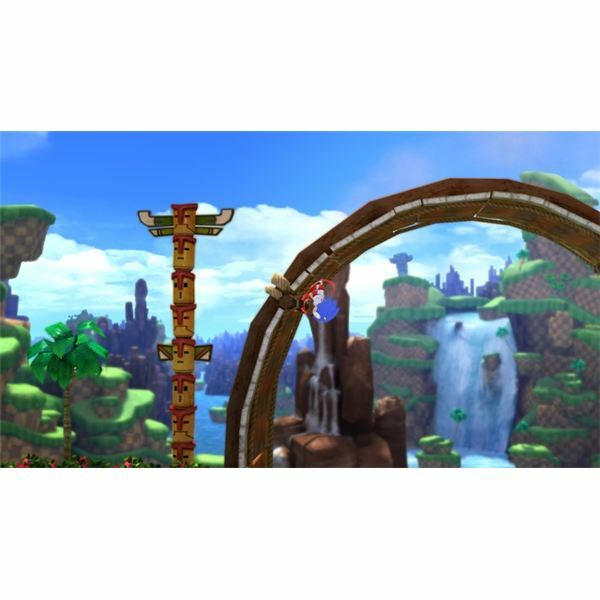 The level design was properly paced, as well, offering a good amount of speed and even some careful platforming like in classic Sonic games on the Genesis. Additionally, there were plenty of super speedy sequences that exuded the old school thrill of the original Sonic the Hedgehog. Yeah, so far, this is definitely what fans were probably expecting from Sonic 4. Judging from the Sonic Generations demo, it seems Sega is on the right track … so far. If they can successfully build upon this foundation for the rest of the 2D levels, then this will definitely be one hell of a game. That is, of course, if Sega can also deliver the goods in terms of the game's modernized 3D stages. In my opinion, Sonic Colors for the Wii was an impressive title that managed to play to the strengths of classic Sonic games, all the while putting the entire experience in a fresh package. 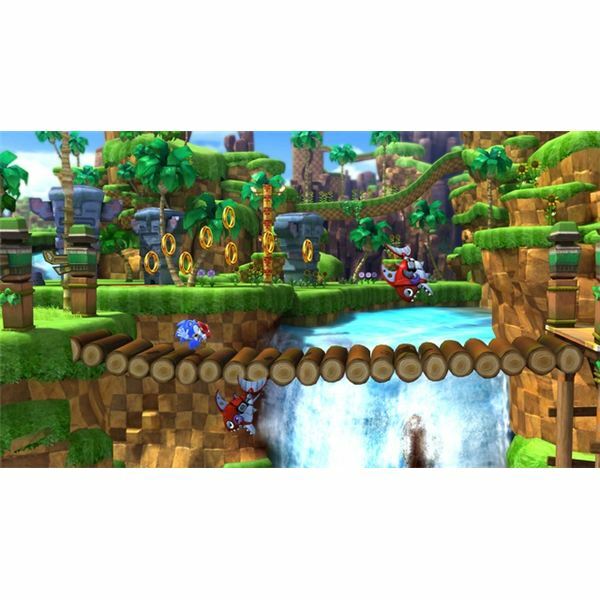 If the other half of Sonic Generations can be as fast-paced and as exciting as Sonic Colors on the Wii was, then fans of the blue blur new and old definitely have something special to look forward to. Personally, I can already see a big, fat division among Sonic the Hedgehog fans as far as Sonic Generations is concerned. Some fans will likely love the 2D sections, while others love the 3D sequences. Then, as always, there will be stubborn fanboyism that prevents some gamers from liking the game at all. We'll know for sure when launch day comes along. Thus far, the demo provides a stellar retro ride that I sincerely hope will be expanded upon to deliver the true Sonic experience that most fans have been waiting for. Sure, I was satisfied with Sonic 4 and both version of Sonic Colors, but there were a bunch of other people who weren't. Here's hoping Sonic Generations caters to every facet of Sonic fandom.